OK, that’s a little sappy, but I can’t help it. Valentine’s Day is tomorrow and love is in the air. What better time to talk about five things I really love about the Emerald City. I love that Coronado was made for romantic dining, with fabu restaurants from the Pacific to San Diego Bay beckoning couples to gaze into each other’s eyes over a delectable candlelit dinner. 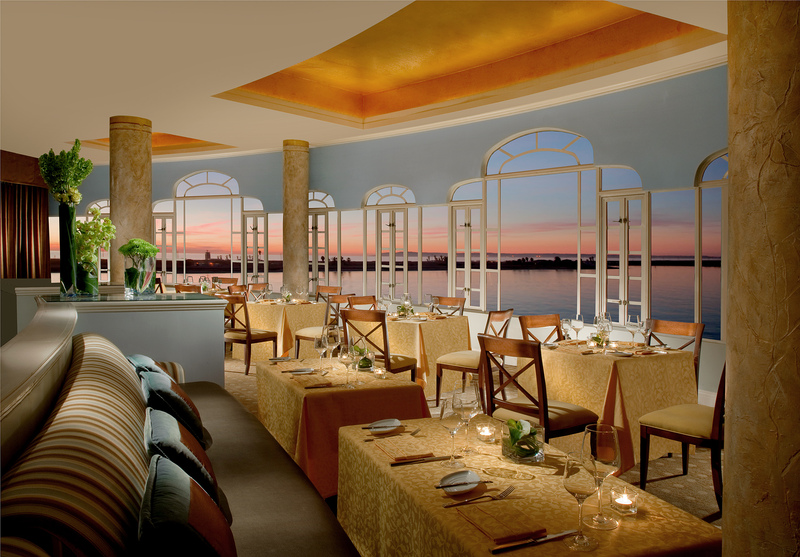 Two of my personal favs: Chez Loma, an intimate, authentic French bistro, and Mistral at Loews Coronado Bay Resort with views as phenomenal as the cuisine. I love the joy in the journey to and around the island. The views by car from the graceful blue arch of the iconic San Diego-Coronado Bridge are second to none! You can see as far as Mexico and the ‘lil Islas Coronadas (crowned islands) off the coast. 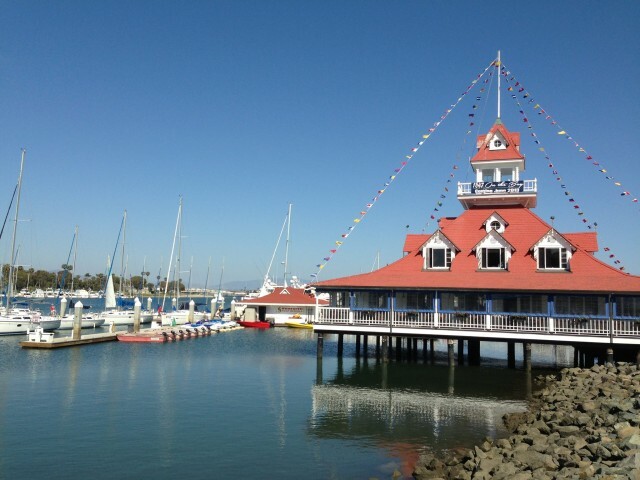 Better yet, take a fun ferry ride over from downtown San Diego! Then explore the island by beach cruiser (there are bike rental shops throughout the island), Segway of Coronado or Pedego electric bike. I love all the ways to play in the ocean and bay. There’s stand-up paddleboarding with SUP Coronado, surfing with Coronado Surfing Academy, the new Coronado Kayak Tour, The Gondola Company’s authentic Venetian gondola rides and San Diego Seaplanes, launching from the bay by the Coronado Ferry Landing! I love the “secret” sights around the island, from sand dunes on the beach that spell C-O-R-O-N-A-D-O and the flock of flamingos and aviary at Coronado Island Marriot Resort, to Wizard of Oz author L. Frank Baum’s cottage on Star Park Circle, the ghost of Kate Morgan’s room at the Hotel del Coronado and the “Baby Del” on Isabella Ave. I love the stunning sunsets. I took the photo above just last weekend. No matter how many times I see the sun set in glorious hues of yellow, orange and red over the beach, it’s never ceases to leave me in awe. 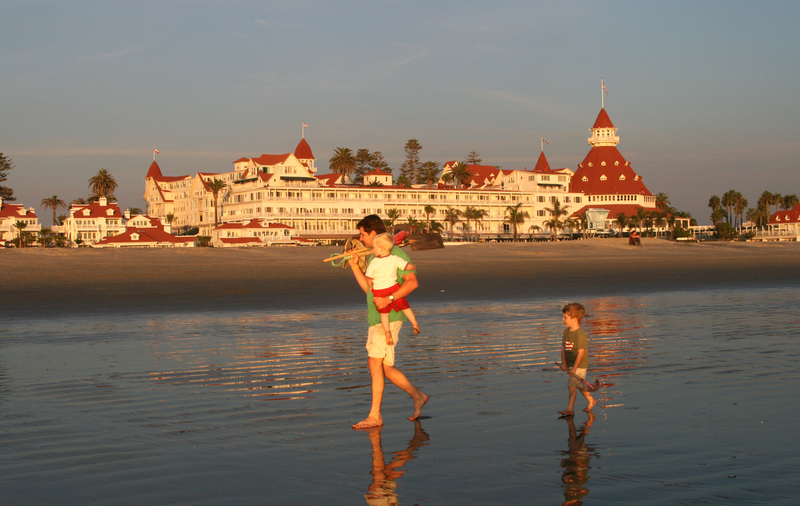 Family Fun for Free in San Diego’s Coronado! The Kidvasion has begun! Kids Free in San Diego month is in full swing. 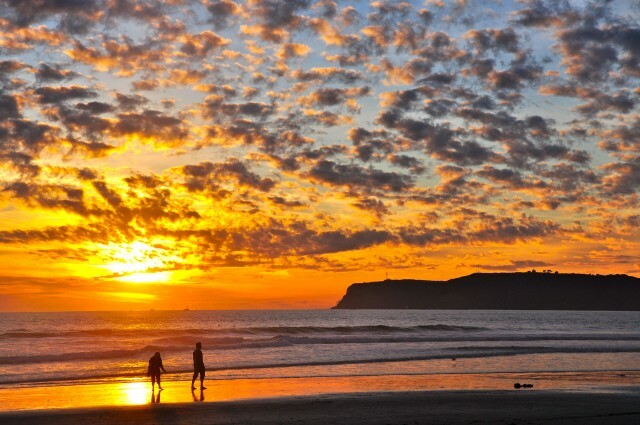 As you and your family are in town enjoying the numerous (100+) free deals, be sure to visit sun-kissed Coronado, a bridge away from downtown San Diego. 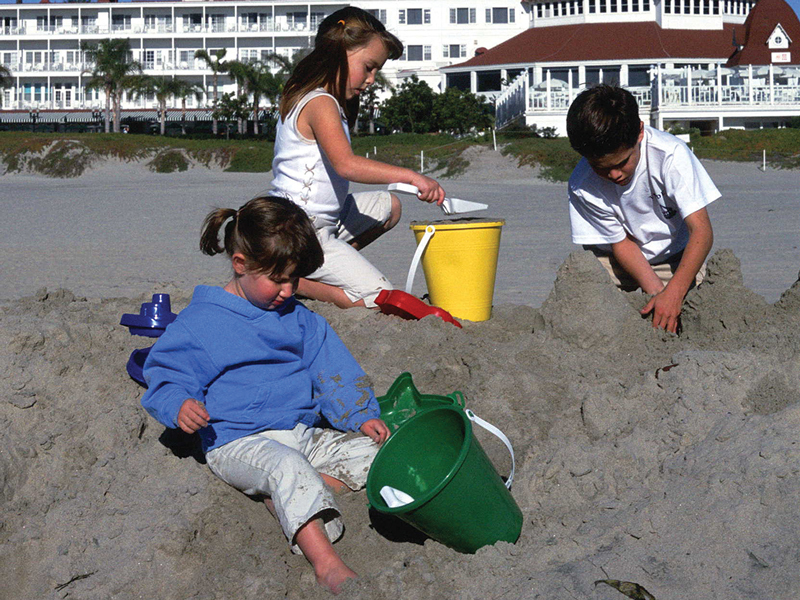 Make sandcastles at Coronado Beach – the #1 beach in America – with its expansive stretch of soft white sands. To the north, check out the tail-wagging fun at Dog Beach where friendly fidos splash in the surf and play fetch. Along Ocean Blvd., can you spot the giant sand dunes that spell C-O-R-O-N-A-D-O? Pretty neat! Fly by the Coronado Museum of History & Art (kids under 12 are free with 1 adult paid admission) to check out their new 100+ Years of Yachting exhibition, plus cool U.S. Navy display. To see the real thing, head to Shoreline Park (First St. & I Ave.) for a peek at the Navy’s mighty aircraft carriers. A free air show of sorts can be seen almost daily at Coronado Beach, with Navy jets and helicopters flying overhead on their way to NAS North Island. 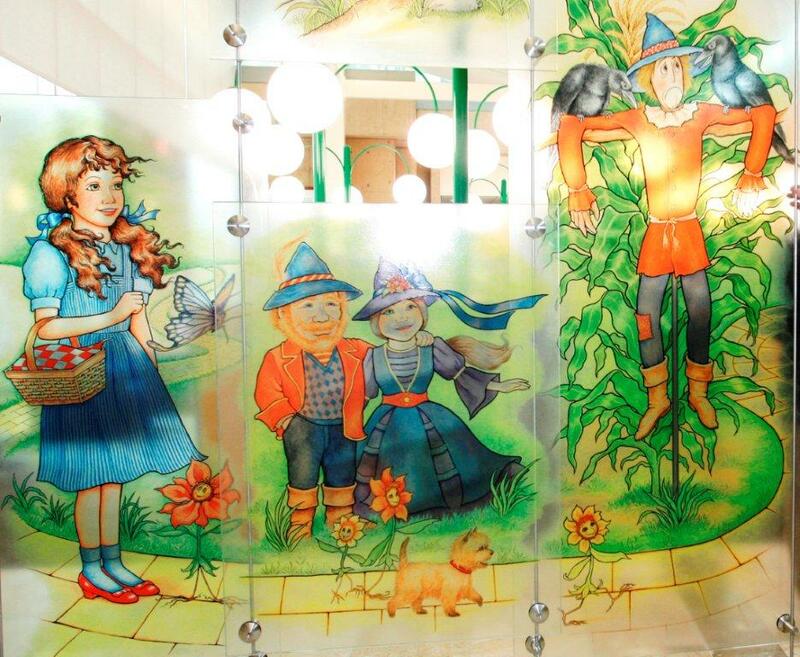 Follow the Yellow Brick Road to the Coronado Public Library to gander at massive glass panels depicting scenes from the Wizard of Oz. Oz author L. Frank Baum lived in Coronado! 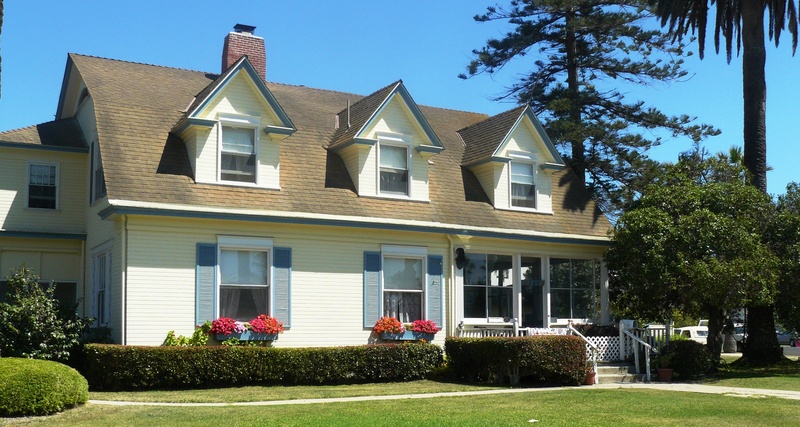 Join Coronado Touring on a walk back in time through the Hotel del Coronado (Baum’s inspiration for the Emerald City) and past the yellow cottage where Baum wrote a few of his fantastical children’s books. 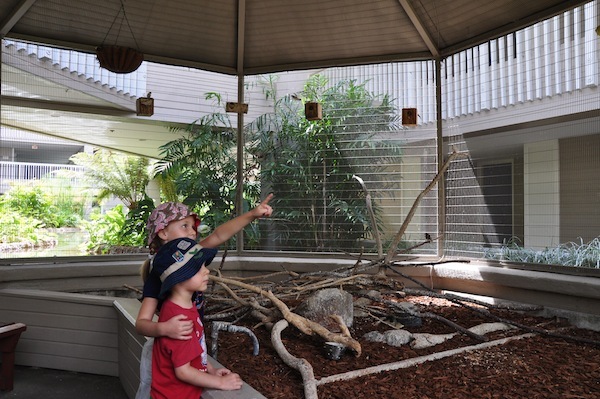 Tour is free for kids under three ($12 each for mom and dad). Another famous children’s author who lived in San Diego was Dr. Seuss. 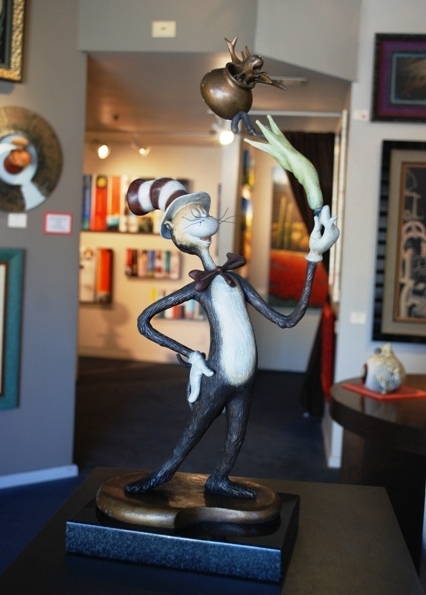 Discover the “Secret Art of Dr. Seuss” – including sculptures of magical creatures and other-worldly paintings – at the Stephen Clayton Galleries at the Coronado Ferry Landing. Coronado: Fun for All this Fall! 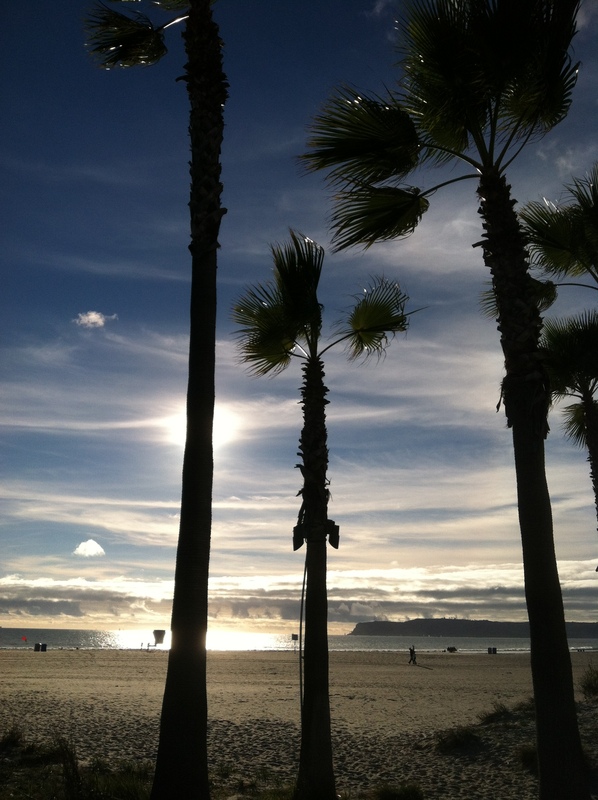 Ah, sun-kissed Coronado, located a bridge away from downtown San Diego. Fall is one of the best times of year to visit the “Crown City,” as the beach crowds diminish, hotel rates dip ever so slightly and the days continue to be nice and warm, with an average autumn temp of 74! The redesigned 1887 on The Bay – formerly the Coronado Boathouse, an iconic landmark on Glorietta Bay that looks just like the Hotel del Coronado’s main turret – introduces new Chef Jess Le Desma who instills a rich Asian/Hawaiian ethnicity into his Pacific Rim menu. Just down the road, the elegant Mistral at Loews Coronado Bay Resort – featuring spectacular panoramic views of San Diego Bay – introduces an eclectic global-fusion menu by new Chef de Cuisine Adam Cho that highlights his penchant for tapas-style small plates, Mediterranean flavors and passion for seafood. 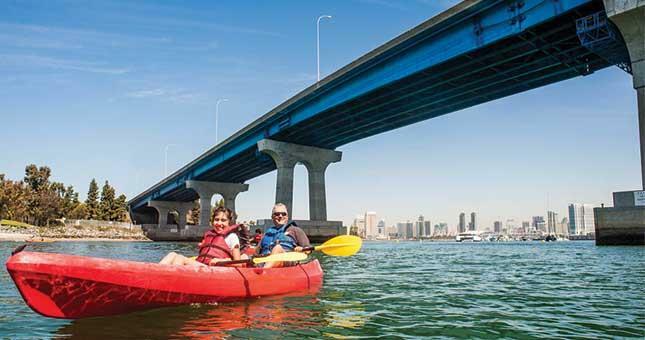 If you’re ready for adventure, go on a guided Coronado Kayaking Tour around the island – San Diego’s only urban kayaking tour – with the new Bike & Kayak Tours – Coronado, based at the Coronado Ferry Landing. For landlubbers, hop aboard the new Coronado Beach Buggy for a fun 40-minute tour that uncovers all the treasures that make Coronado so special, including America’s Best Beach, historic homes, the charming Village and Naval Air Station North Island. The buggys makes daily stops at the Glorietta Bay Inn; cost is only $10. 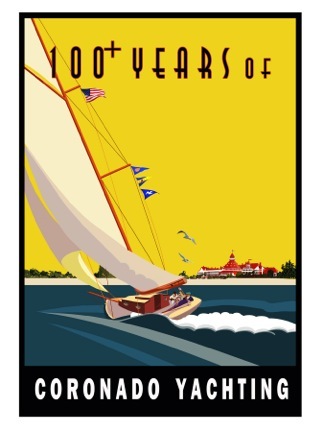 Set sail for the Coronado Museum of History & Art (1100 Orange Ave.) to check out their popular new exhibit, “100+ Years of Coronado Yachting,” spotlighting the island’s rich nautical past as a yachting hub. Admission is free. 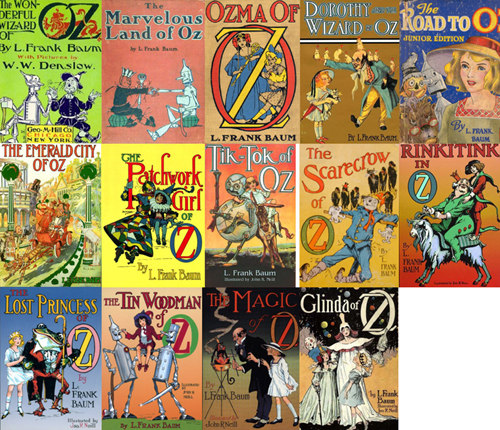 Long before Harry Potter or the Twilight series about vampires and werewolves, an author by the name of L. Frank Baum penned a few – well, 14 to be exact! – incredible fantastical novels about a Kansas girl (and original storm chaser) who hitched a ride on a tornado and found herself over the rainbow. 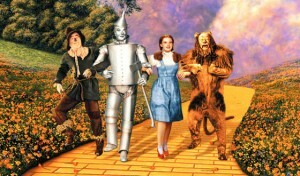 Yep, I’m talkin’ about The Wizard of Oz. When Disney added its magic touch to the original movie classic earlier this year with Oz The Great & Powerful, I was in awe at how this timeless story continues to enchant and entertain a whole new generation of viewers. 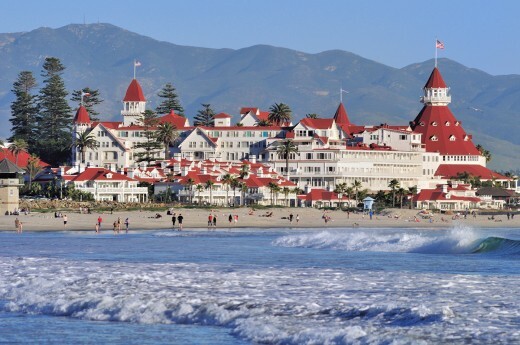 Hotel del Coronado, inspiration for the Emerald City! Well, for you movie buffs and pop culture fans, there’s a fun surprising San Diego/Coronado connection to the Wizard of Oz. 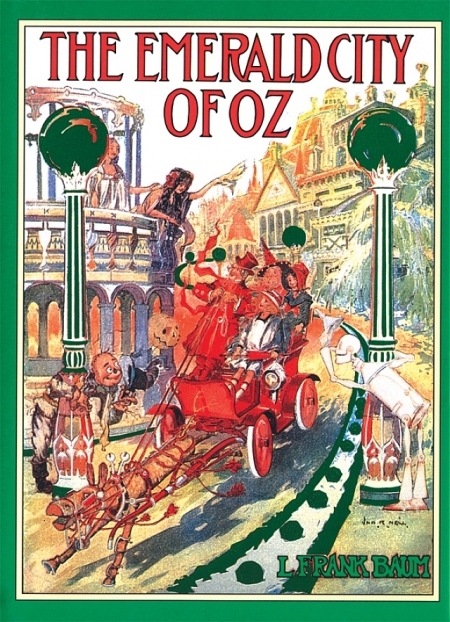 Between 1904 and 1910, Oz author L. Frank Baum frequently vacationed here with his family, staying at the Hotel del Coronado, which if you look very closely at the book cover below, was the inspiration for the Emerald City! Note the red turrets and white awnings in the background. Cool huh! Did you know: In addition to “Crown City,” Coronado is also nicknamed the Emerald City. 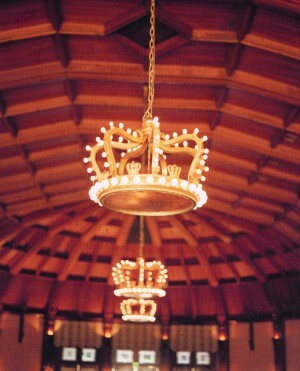 If you get a chance to explore the Hotel Del, head to the Crown Room, look up and you’ll spot four regal crown chandeliers that were designed by Baum! 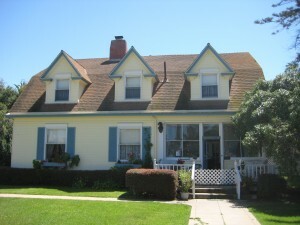 L. Frank Baum’s historic Coronado home. Down the street from The Del, Baum also rented a humble yellow cottage on Star Park Circle where he wrote three of his famous Oz books: Dorothy and the Wizard of Oz, The Emerald City of Oz and The Road to Oz. You can check out rare first editions of the books at the Coronado Museum of History & Art! 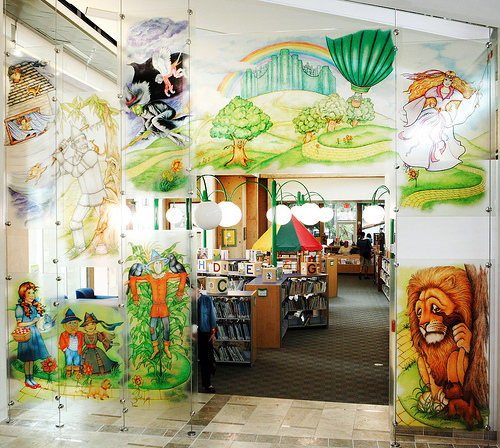 At the Coronado Public Library, you’ll not only find the complete Oz book series, but also a spectacular Wizard of Oz Glass Art Exhibit, where Baum’s storybook jumps off the pages onto nine huge glass panels depicting Dorothy, the cowardly Lion, Scarecrow, Tin Man, Glenda the Good Witch, Munchkins and more. Welcome Comic-Con fans to our fine city and if you get a chance, definitely follow the Yellow Brick Road over the bridge to Coronado to discover the home-away-from-home of one of America’s most beloved authors. One look at our island paradise and you’ll see why Baum was so enamored! Also, plan to return this fall for Coronado’s premier Wizard of Oz Weekend (September 20-22), celebrating the 75th anniversary of The Wizard of Oz. There will be exclusive screenings of the first-ever, re-mastered 3D version of the movie at Coronado’s Village Theatre, as well as a Wizard of Oz parade down Orange Ave. – Coronado’s main street – book signings, exhibits, character look-a-like contests and more! A few months ago I revealed some little known places around the “Crown City” of Coronado that many folks hadn’t heard of. During a recent media tour I discovered a few more secret and not so obvious spots around the island worth checking out. Stare down… The stately Glorietta Bay Inn is a treasure trove of behind-the-scenes areas that guests rarely – or never – see. In addition to a basement and sub-basement (how low can you go? ), there’s an inconspicuous door leading to a hidden passageway on the first floor. Within the secret alcove a three-story staircase spirals down from the top-floor Penthouse Suite. If these stairs could talk! Safe bet… What’s better than a safe to stash your valuables? How about two safes! Last time I spotted Mrs. Spreckels personal safe in her former bedroom at the Glorietta Bay Inn, I thought that was the only one. But there’s another, much grander vault tucked inside a closet near the top of the grand staircase. No telling what’s inside, as nobody knows the combination. Kate "checks out" (of) The Del. 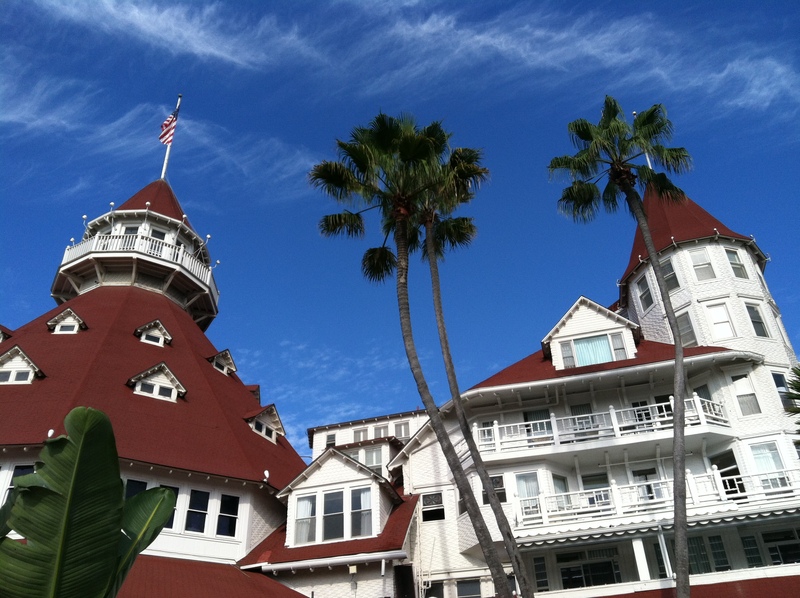 Room with a boo… Many folks have heard of Kate Morgan, the Hotel del Coronado’s famous ghost who supposedly haunts the resort. 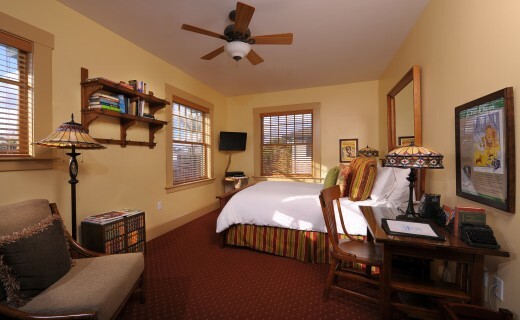 But do you know the exact room she stayed in before her untimely demise? Room # 3327 on the third floor, where narrow hallways only add to the spine-tingling feeling you get when exploring the recesses of this Victorian marvel. Follow the yellow brick road… Actually, follow Star Park Circle to a humble abode hiding in plain sight (see photo below), the home of acclaimed author L. Frank Baum. He wrote two of his famous children’s’ books here, The Road to Oz (1909) and The Emerald City of Oz (1910). 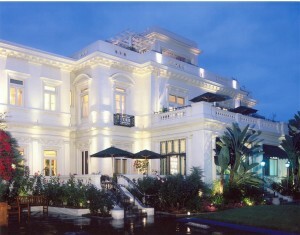 It’s easy to see why he was so inspired by the “enchanted island” and The Del nearby. Historic home of L. Frank Baum, 1101 Star Park Circle. 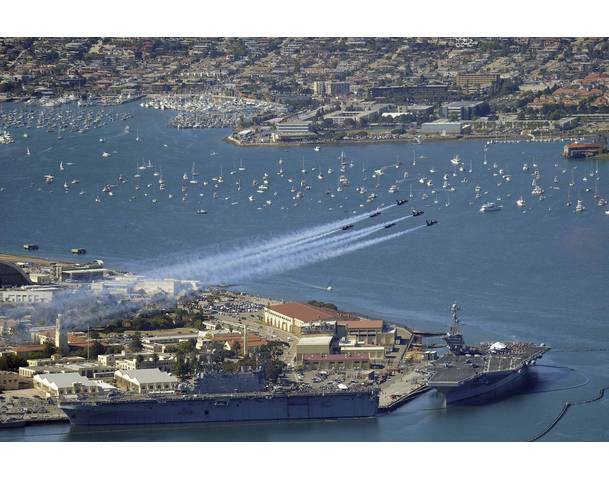 Fly boys… Did you know Coronado is an enclave for military retirees and home to some of San Diego’s original Navy heroes? 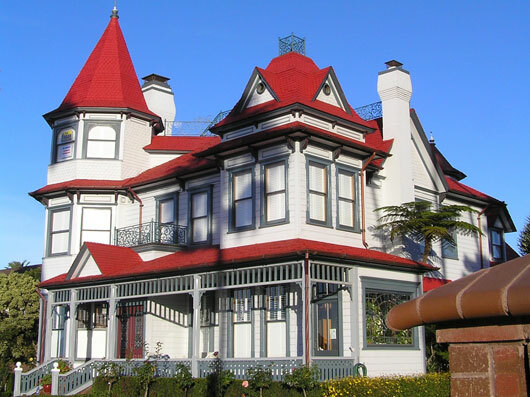 This Sunday (11:00 am – 4:00 pm), in conjunction with the “Centennial of Naval Aviation”, the Coronado Historical Association spotlights six legendary naval aviators’ houses during the Annual Historic Home Tour. Decked out domiciles include Vice Admiral James Stockdale’s – one of the most highly decorated officers. Go Navy!